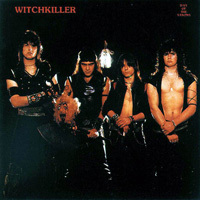 Witchkiller was a promising Canadian heavy metal band whose members sadly went their separate ways after recording a single 1984 EP entitled Day of the Saxons. 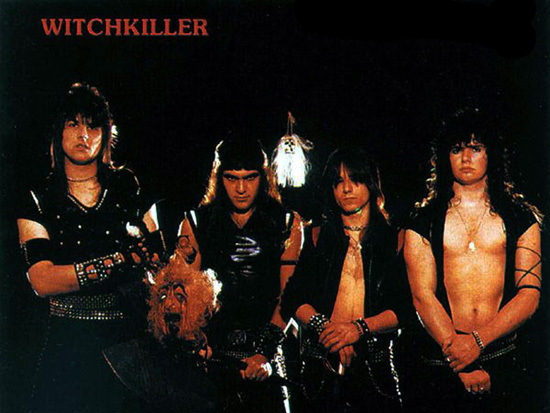 Released by Metal Blade, it has since become a collector’s favorite, and assured the group – deeply influenced by Judas Priest and Iron Maiden and featuring vocalist Doug Adams, guitarist Kurt Phillips, bassist Todd Pilon, and drummer Steve Batky – a certain cult status in the metal underground. All four members pursued other projects following Witchkiller‘s demise, but none fared all that well: Adams and Pilow joined forces in a new band named Reckless, Phillips founded Christian metal act Warhag with his wife, and Batky resurfaced as a singer in a group called I Napoleon.